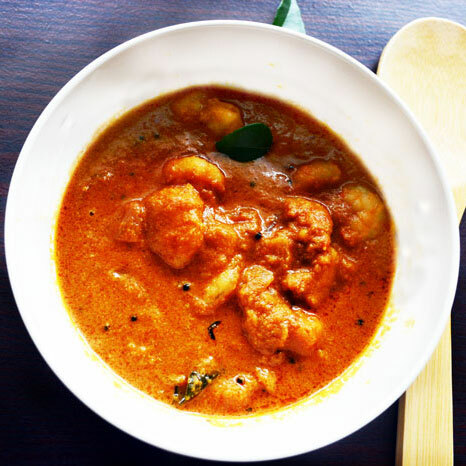 Shrimp/Prawn curry recipe is prepared with coconut milk and powdered spices.The shrimp /prawn cooked with coconut milk and spices tastes good. I tried this recipe recently because I had more shrimps in hand and want to cook it than frying. So tried shrimp as a curry and it came out really good. 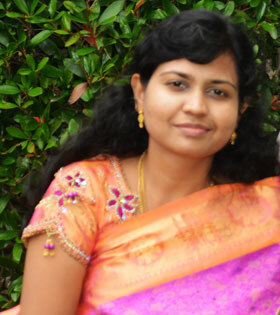 Prepare this recipe for any Indian flat bread and rice sides. Talking about shrimp you may be alarmed of it's high cholesterol content. Despite of this shrimp is rich in antioxidants. It is a good source of selenium, copper... Shrimp is the only fish which contains copper in a good rating. So if you are concerned about your health, cholesterol, limit it's intake quantity. Other than this shrimp is a recommended seafood for its antioxidant properties of one specified carotenoid and copper. So consider taking shrimp in small amounts in your diet. Extract coconut milk from coconut/ us store bought coconut milk. 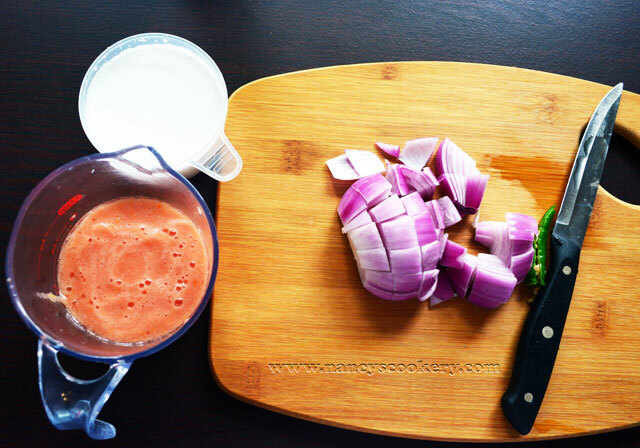 Puree the tomato and make other ingredients ready. 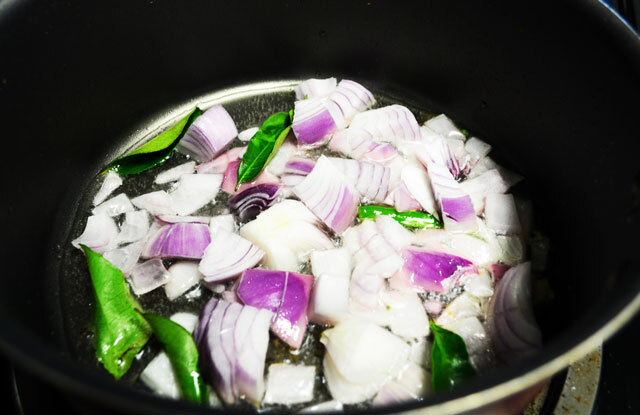 Temper using the items given under 'temper', then add onion, saute it until translucent. Then add tomato puree and saute till raw smell goes off. Then add ginger garlic paste and saute it till the raw smell goes for 5 mins in medium flame. 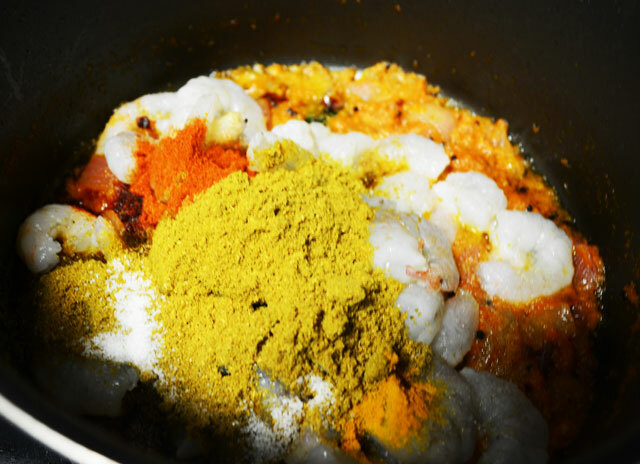 Then add shrimp/prawn, coriander powder, chilly powder, garam masala, salt and turmeric powder, mix everything until the masala coats n the shrimp/prawn. 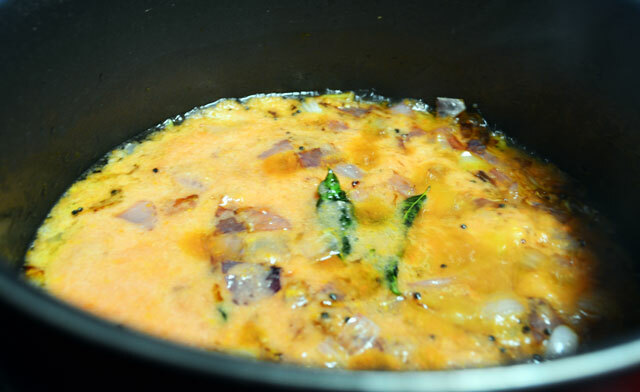 Then add coconut milk and little water to get desired consistency and allow it to boil and then cook for 15 mins in medium flame. Once the curry thickens switch off the heat and serve ht with rice/any Indian flat bread. Make ready all the ingredients. Grind the coconut(given under 'to grind') to extract the coconut milk. Puree the tomato. Heat oil in a pan. Crackle mustard seeds, then add onion and curry leaves. Saute the onion until translucent and slightly browned. Then add the pureed tomato. Saue the above for 5 mins. to get rid of the raw smell of tomato. Then add ginger garlic paste and saute for another 5 minutes in medium flame until it's raw smell is gone. Then add shrimp/ prawn, coriander powder, chilly powder, garam masala, salt and turmeric powder, mix everything until the masala coats n the shrimp/prawn. Then add 1 cup thick coconut milk and water if needed for your required consistency. I added 1/2 cup water(measured cup 1cup=180ml). 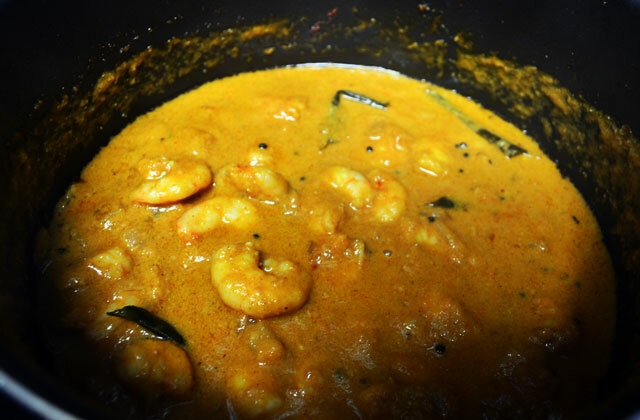 Then cook it for 15 minutes in high to medium flame, until the shrimp is cooked and the curry reaches your desired consistency. Then switch off the heat. 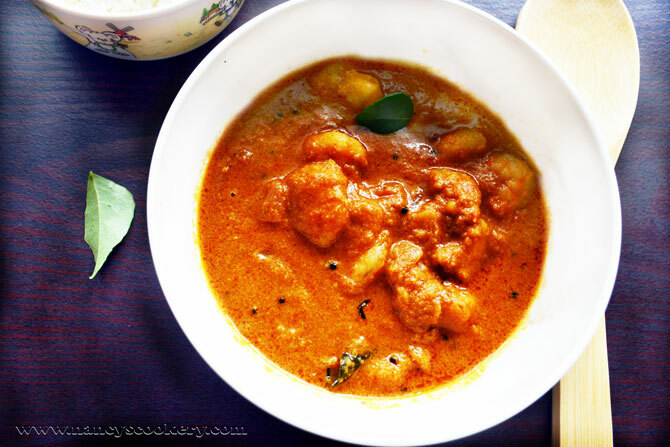 serve hot with rice/any Indian flat breads. 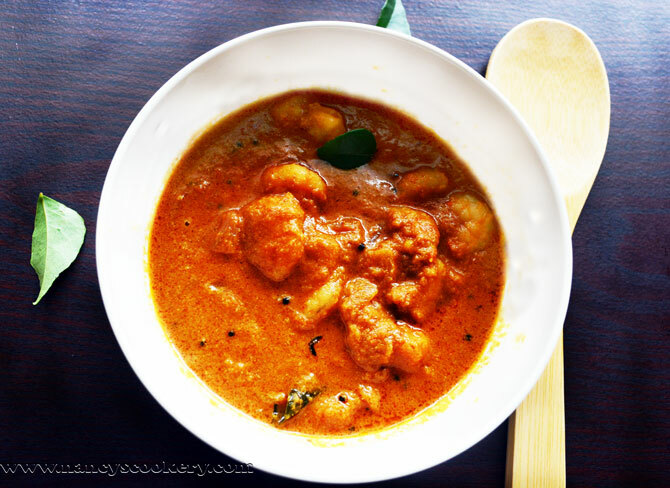 enjoy the delicious shrimp gravy. You can use store bought coconut milk can also. Used frozen shrimps/prawns here. You could use fresh ones if available.